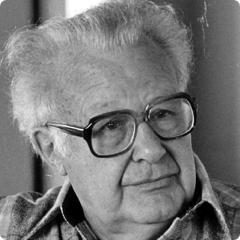 Clifton P. "Kip" Fadiman was an American intellectual, author, editor, radio and television personality. London is one of the world's leading tourism destinations, and the city is home to an array of famous tourist attractions. London attracts almost 15 million international visitors per year, making it the world's most visited in terms of international visits. A vibrant art, music and theater scene will satisfy your cultural cravings. You’ll want to stay a little longer. Three of the top ten museums and galleries in the world are in London and 857 art galleries in total- London has four UNESCO world heritage sites: Tower of London, Greenwich Maritime, Westminster Palace which includes Westminster Abbey and St. Margaret's Church as well as Kew’s Royal Botanical Gardens. If you are coming first time to London, we hope you will find the our site useful in planning your next experience in the London. We can offer you a variety of services – which ones you choose will depend on what you want to do. Got a question about your visit, hotel booking, careers question & learning in London? Get support from our advisers. We can give you impartial advice to you. May you want to update your CV with current job market or find a correct course for your future our Impartial qualified advisers will help you, not only that we can look for job what you are looking for in London. Europe is ever-changing and distinctive, is home to some of the most popular destinations - from cosmopolitan Amsterdam to the cafe culture and galleries of Paris, from the pretty canals of Bruges to the Art Deco buildings of Vienna. Get the most of your holiday in Western Europe on a fully escorted tour, we can book for your Europe tour with reputed travel company. Take an Europe touring holiday - it is on your doorstep! Whether you are living in London, or visitor to London, Londonmore website is the unique guide to find all the information for your needs. However you arrive in the UK, by Plane, Eurostar, Ferry or coach, you have to abide by the UK Customs and Visa regulations. Like other countries in the EU (European Union) the UK has a two-tier customs system: one for goods bought duty free and one for goods bought in another EU country where taxes and duties have already been paid. When arriving in the UK you may be required to pay customs duty on some goods, for example wine and cigarettes. Check which rules apply to you before you travel. website or check with your local British Embassy or other diplomatic representative before you travel. At present, citizens of Australia, Canada, New Zealand, South Africa and the USA are given, at their point of arrival, 'leave to enter' the UK for up to six months but are prohibited from working unless they secure a work permit. If you are a citizen of the EU, you do not need a visa to enter the country and may live and work here freely for as long as you like. Different rules apply for students on degree courses and people arriving in the UK (from outside the EEA) to work. Have a look at Home Office. International students from outside the UK or EU must apply for a student visa. Your eligibility is calculated using a points-based rules system called a Tier 4 Student Visa. London is home to over 100,000 international students from over 200 different nations – that's more international students studying in London than in any other city in the world.. Remember, you can only apply for a visa once you have been given a Confirmation of Acceptance for Studies. Check you are eligible for a UK Student Visa but do not apply until after you have been accepted onto a course. London's 45 universities, colleges and schools are amongst the best and most prestigious in the UK for international students. London has some of the finest 5 star and 4 star hotels in the world. Among some of the best 5 star London hotels are: those in the Hilton chain (Waldorf Hilton, Park Lane, Bentley, Courthouse Doubletree); Intercontinental Park Lane hotel; Mandarin Oriental Hyde Park; Radisson Edwardian's Hampshire Hotel and The May Fair; The Royal Horseguards; and Andaz, Liverpool Street's grand Victorian station hotel restored with cutting-edge design. If you are only staying in London for a short time (a week or less) it would be best to stay in central London to avoid wasting time traveling. It is remarkably easy to get around London on public transport so don't worry too much about which area in central London; if you find a hotel you like, or can get a great deal, then as long as it's central you will be fine. B&Bs and budget hotels are perfect for visitors looking to see London for less. ” is the easiest way to access London's public transport network. London Transport has introduced a 'Pay As You Go' Oyster card for paying for London Transport journeys on the tube and buses. Visitor Oyster cards are plastic smartcards you can use instead of paper tickets. Put on pay as you go credit which you use when you travel. It is the cheapest way to pay for single journeys on bus, Tube, tram, DLR, London Overground and most National Rail services in London Transport for London want us to use an Oyster card and to encourage us they've made the fares much cheaper compared to cash. You can buy Oyster Card from Tube stations, newsagents and Online. The Pay As You Go Oyster card can be credited with any amount of money and accepts 7 day (or longer) travelcards if you have a longer stay in London. The Visitor Oystercard comes with £10 credit and cannot accept 7 day (or longer) travelcards. By the way London Underground, or the Tube, was the world's first underground railway. It opened in 1863 with the first journey taking place on 9 January between Paddington and Farringdon on the Metropolitan Railway. The general public were admitted the next day. 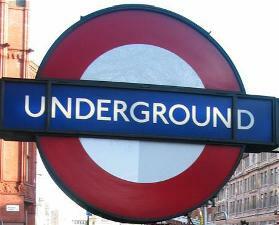 There are 270 underground stations in London. There are two types of taxis - Black Cabs and minicabs. Black Cabs are the traditional, familiar looking London taxis, though not all Black Cabs are actually black these days. Minicab, must always be booked in advance, and will almost always cost less than a Black Cab. Minicabs can be identified by a prominent TfL (Transport for London) "Private Hire" sticker on the rear windscreen and an identification license from the Public Carriage Office inside. Remember unbooked minicabs are illegal. London's innovative, driverless Docklands Light Railway (DLR) serves parts of East and South East London. The DLR connects with the Tube network at Bank and Tower Gateway (Tower Hill) stations and also at Shadwell, Stratford, Bow, Heron Quays, Canning Town and Canary Wharf. 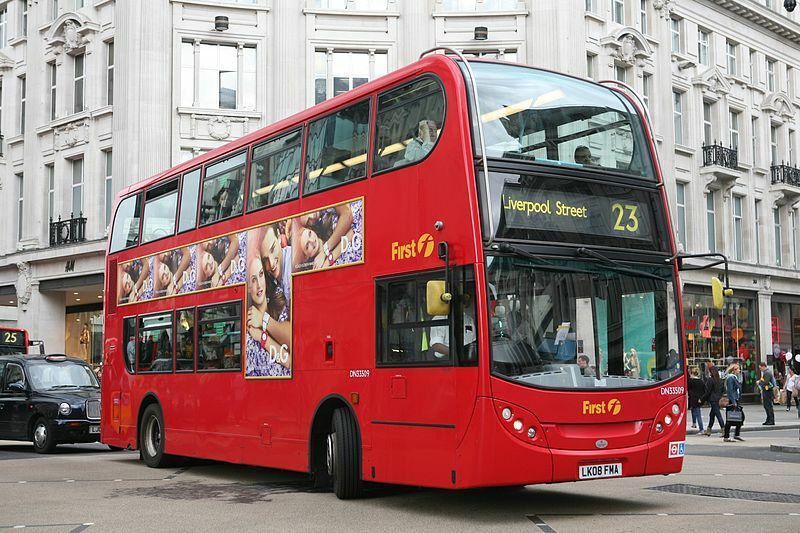 London's famous red buses are a quick, convenient and cheap way to travel around the city, with plenty of sightseeing opportunities along the way. London "River Bus Services" on Thames are popular with visitors to London, and they're used by local commuters as well. Most River Bus services provide a fast and frequent service from early morning untiol early evening- or later if there's an event at the O2 in North Greenwich. London's public bicycle scheme is a great way to travel around the city - and the first half an hour is free! Grab yourself a "Boris bike" and get riding today. London's public bike sharing scheme is available 24/7, 365 days a year. There are more than 8,000 bikes and over 550 bike docking stations across the city to help you get around quickly and easily. More than 22 million journeys have been made on the bikes since the scheme's launch in 2010. Ride the “Emirates Air Line, London's cable car”, across the Thames. Enjoy great views of London as you travel between Greenwich Peninsula and the Royal Docks. Journey time is less than 10 minutes one way, and the terminals are close to the Tube, DLR, buses and river boat services. 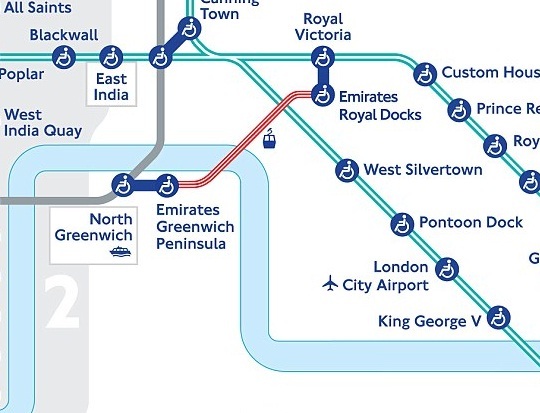 You can use Oyster pay as you go or buy Emirates Air Line tickets at the terminals at either end. Gondolas will glide over cables suspended between 300ft white pillars and ferry Olympics spectators between two of the Games venues - the 02 Arena on the south bank of the Thames and the ExCel exhibition centre in east London. With a gondola every 30 seconds, it will be able to carry up to 2,500 people an hour across the river in each direction - something that Transport for London (TfL) says would take 30 buses an hour to achieve. London now joins cities including Barcelona, Cologne, Hong Kong, Lisbon, New York and Singapore who all operate cable car systems. London is one of the most foot-friendly cities in the world and much has been done to improve London's pedestrian environment. Walking means you can beat the traffic while soaking up the view. Walking is the second most popular way for Londoners to visit town centres, after taking the bus. It's more popular than the car, train or Tube. Can't live without your mobile phone? Don't forget that the UK dialling code is +44 (which replaces the 0). Roaming charges vary between countries and networks. If you are planning to stay in London for a significant period of time, consider buying a pay-as-you-go SIM card when you arrive. If you're using a smartphone to browse the internet and receive emails, be aware that your network will charge you to access this data while you are in London. except if they need emergency treatment while in the UK. You are strongly advised to take out travel insurance to cover any medical expenses. If you are a visitor from the European Economic Area (EEA) then you are strongly advised to bring a valid European Health Insurance Card (EHIC) with you, otherwise you may be charged. Also, the EHIC is not an alternative to travel insurance. It will not cover any private medical healthcare or costs such as mountain rescue in ski resorts, being flown back home, or lost or stolen property. Therefore, it is important to have both an EHIC and a valid private travel insurance policy. If you need to see a doctor during your stay in the UK then you can register with a GP (general practitioner) practice as an NHS patient. Hospital treatment is free to ‘ordinary residents’ of the UK. But if you are visiting the UK – to stay with family, on business, as a tourist, or if you are living here without proper permission – then you are likely to be charged by an NHS hospital for the treatment it gives you. Some people who are not ordinary residents in the UK are still entitled to at least some hospital treatment free of charge. These include those working for UK-based employers and students on courses of at least six months in duration. Kew Gardens is home to 300 acres of beautiful landscape, historic buildings and glasshouses. Based in South-West London, the gardens are renowend worldwide for botanical research and are home to the world's largest collection of living plants, with more than 30,000 types and seven million preserved specimens. Located on the norht bank of the Thames, this histroric castle was built by William the Conqueror in the early 1080s. It has played a significant role in British history and has been besieged several times. Famous for housing the Crown Jewels and ravens, the castle was originally used as a royal residence and later in 1100, as a prison. Prisoners included Anne Boleyn, who was beheaded there in 1536 and Elizabeth 1, before her coronation. Westminster Abby, the Palace of Westminster and St Margaret's Church are classed as one heritage site. Together, they from one of the oldest parliamentary democracies in the world. The Abbey, where all sovereigns since the 11th century have been crowned, is steeped in grate historic and symbolic significance. It is the final resting place of 17 monarchs and more than 3,000 noteworthy men and women have been buried or memorialised here. The Palace of Westminster, commonly know as the Houses of Parliament, is the meeting place of the House of Commons and the House of Lords. The original 11th century building was rebuilt in 1512 when a fire saw much of it destroyed. Another fire in 1834 resulted in the need for a complete reconstruction. Gothic architects Charles Barry and Augustus Pugin won the competition to restore the 2mother of all parliaments”. St Margaret’s Church, situated to the right of Westminster Abbey, was founded by Bendictine monks in the 12th century so local people could worship in a simple church. It is still a place of worship and in recent decades has hosted the weddings of prominent MP’s including former Prime Ministers Sir Winston Churchill and Harold Macmillan. Maritime Greenwich has a wealth of navel history. In 1997, the area was awarded World Heritage Site status owing to the high number of architecturally important buildings. The Royal Observatory played a major role in the history of astronomy and navigation. Astronomers have used the location as a basis for the measurement of time since 1851 and the area is the location for Greenwich Mean Time and the Prime Meridian Line. If you want to see some of London's top trourist attractions, chep way simply board a number 11 bus. Take the bus to see the "sights". The bus number 11 passes throught many well-known London locatins and stops at a host of famous landmarks - and it can be done for as little as £4.40. Yes just £4.40. 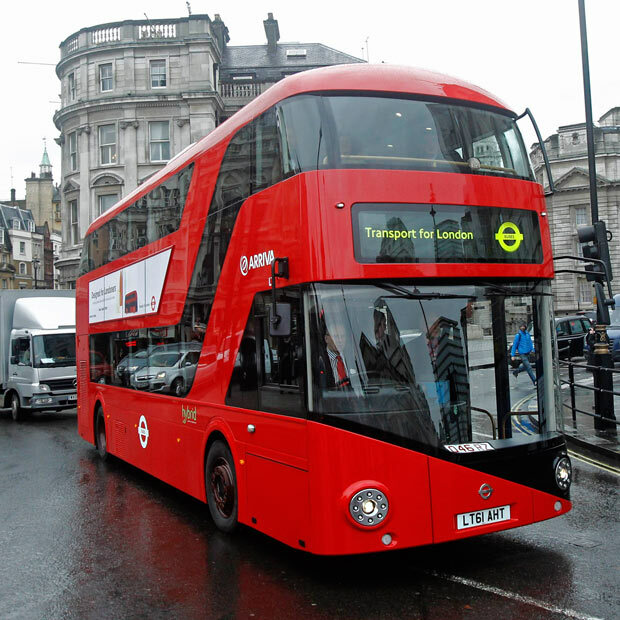 By using and Oyster Card, you can use the bus as many times as you wish and will not pay any more than the daily cap. Single fares are £1.45 but the fares are capped at £4.40, so you can continue travelling for free after that. It is an easy and cost-effective way of spending a day sight-seeing in the capital. Starting at Fulhma Town Hall, the bus 11 takes pssengers through World's End and Chelsea to Sloane Square, with its smart outside eating areas and designer shops. The route then heads to Victora and on to the Capital's histrorical heartland and the important places of power. Visit Westminster Cathedral and the Houses of Parliament, Big Ben and Westminster Abbey at Parliament Square. You can then pass by Horse Guards Parade, London's largest parade ground and the home of the annual Trooping the Colour ceremony. Stop off and visit the Churchill War Rooms, the secret underground headquarters used during WW2. Visitors could even take a break in St James's Park, get a deckchair, feed the ducks or grab and ice cream. The next stop of note is Trafalgar Square with Nelson's Column, the lions and fountains and some of London leading galleries. Take a glimpse of Buckingham Palace, too. Simply stand under the arch and look down The Mall. The bus route then heads along the Strand near vibrant Coven Garden. Pop in to London Transport Museum and take a look at the latest exhibions and displays. There is also lot of interactive fun for families there. The bus 11 then moves on to the Aldwych, past the Royal Courts of Justice ot the Old Bailey and St Paul's Cathedral. Tickets for St Paul's includes admission to the crypt as well as a trip up to the Whispering Gellery. The fianl leg of the journey takes visitors past the Old Lady of Threadneedle Street, the Bank of England, until it reaches its destination at Liverpool Street station.